So, from what I hear, there were some adults in the "main service" who overheard what was going on in Kids Worship next door. It was a great Sunday in Kids Worship and our attendees got really excited and involved. It is very cool to me that the adults get to hear the kids and vice versa. I am sure as a parent you want to know your child is not being lectured in a silent room for an hour. And for a child to hear adults singing and listening to preaching is something that will stick with them when they are old. Needless to say, the things happening at Restore Church are good and I am thankful to be a part! Ephesians 6:12 is the memory verse that Restore Kids are learning in the month of November. As you can see this is a long and challenging verse so our volunteers implemented a game with motions and shouting to help the kids learn Gods word. Go through this verse with your kids at home and see if they might remember some of what they learned Sunday. 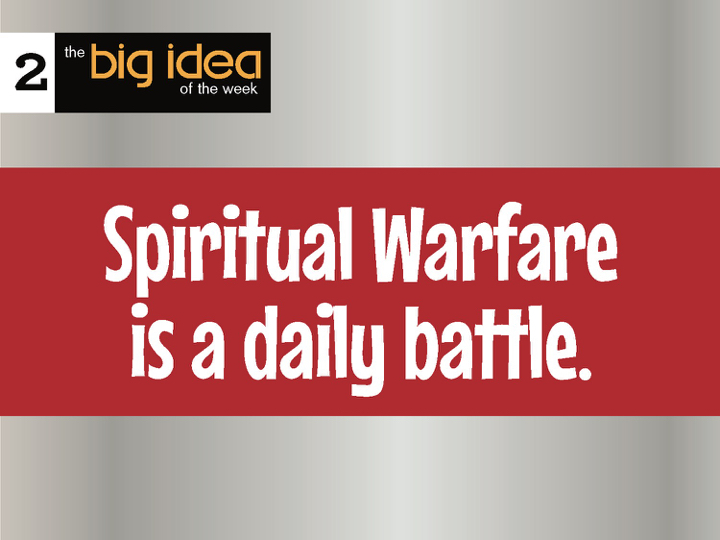 Our Big Idea for the week was Spiritual Warfare is a daily battle. As an adult this statement should make way more sense than it will for your kids. Mr. Corey taught the kids about putting on the whole Armor of God (Ephesians 6:10-18) and the importance of preparing ourselves for the temptations that we will face on a daily basis. Our volunteers used the equipment a baseball catcher uses to describe the Armor of God and compared it to the protection we need to face daily Spiritual Warfare. Please take a few minutes to listen to this weekly Podcast to stay up to date on what your kids are learning. I hope you will find this resource useful in taking life lessons and teaching your kids on a daily basis. Newer PostWhen do you feel closest to God? Older PostWhat do we do when our candidate loses?